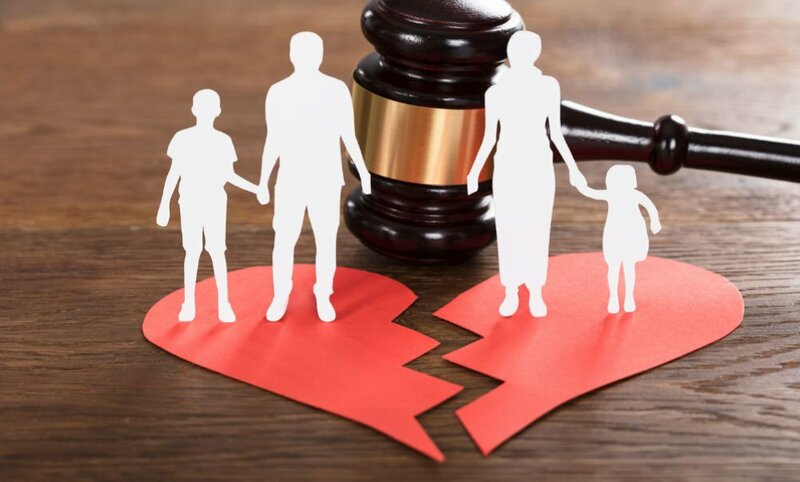 Monrovia – Mr. Joel Bimba, a sociologist, says divorce leads to more single-parent families which make child rearing difficult depending on the ages of the children. He said mothers ultimately bear the burden for care when divorce occurs specifically in Liberia where the justice system is ‘poor’, and many fathers renege on caring for their kids after divorce. According to him, if one partner was relying on the income of the other person, it is difficult for him or sustains herself after the divorce. His statement comes in the wake of the huge number of divorce cases within the judiciary. In 2018 alone FPA established that 581 divorce cases were filed of which only 39 were decided. The number of divorce cases may be higher as there are other means of getting a divorce in Liberia. The 2003 “Equal Rights of Customary Marriage” Act (the one we call the Inheritance Law) says that customary or traditional marriages have the same legal rules as statutory or church marriages. This means that the husband and wife in a customary marriage have the right to go to the court and sue for divorce. However, in practice many customary marriages end according to customary rules and traditions – the husband may however not “give his woman back” without this being sanctioned by relevant State institutions. For example, traditional marriage may be terminated under Liberian law if done before a traditional leader such as a paramount chief or even before the Ministry of Internal Affairs. However, it is important to remember that, even if the marriage is ended in this traditional way, the husband cannot ask for the dowry to be returned, because dowry is a gift, not a payment for the woman. Divorce can also occur through the religious system. There are no statistics on how many got divorce through the customary or religious system, but experts say it could bring the number of the divorce case in 2018 to about a thousand. “I think that number is low because they did not take into account of those who get marry through the traditional, church and the mosque, I think the FPA number to about a thousand. Sarah Brown,” Marriage Counsellor. Although the law requires one spouse to sue the other for divorce, in practice the husband and wife who no longer wish to be married can often reach a settlement of divorce in a friendlier way, some of these under this arrangement did not make it court record. Mr. Bimba says if there is no psychosocial support, some single parents can suffer from mental issues that can last a lifetime. According to him, some partners may not be able to recover from trauma. However, he noted that divorce can be positive if the relationship was characterized by physical, verbal, or emotional abuse. He said it is not all negative when people divorce. There are times when divorce can have a positive impact on the divorcee’s life. For example, a partner receiving just compensation or share from the property for all the years invested in the relationship. He said there is a need for courts to ensure that children receive child support. 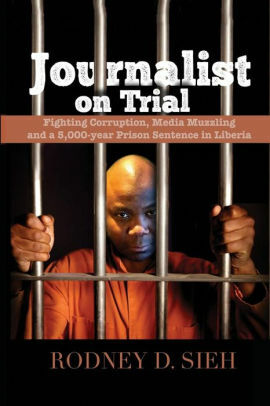 Mr. Bimba said Liberia with the poor justice system and high unemployment, the effects on the children or partner who is of spousal abuse can be huge. He said some major factors behind divorce in Liberia are unemployment, gender-based violence, extended family interference with marital disputes, the decline in marital values, lack of understanding of what marriage entails and partners lack of conflict resolution skills. But Bimba is not the only person concerned about Liberia’s increasing divorce cases. Kalilu Jalloh’s job as an assistant Imam at Benson Street mosque brings him face to face with relationship problems on a daily basis. It is Friday, a mandatory prayer day for Muslims, before going for service he has to intervene between a couple. This coupe is unique in Liberia. The man is a Muslim and the wife a Christian. In most cases here the man demands his wife convert to Islam. But, Musu [not her real name] is lucky. But that luck is short lived. Iman Jalloh is hearing their case. He suspends preparations for his sermon to hear arguments from both sides. The husband claims his Christian wife family is controlling her. While Musu accused her husband of forcing her to convert to Islam. Iman Jalloh said most of the mistake in his religion is the blending of religious and cultural practices. He stressed that the credit of bride price [dowry] is one of those practices that is creating problems within Islamic marriages in Liberia. “The dowry doesn’t belong to mother or father, also no one should get married to someone because of cultural practices”, says Iman Jalloh. He said society must improve how people approach marriage, which will minimize the increase of divorce. According to Imam Jalloh, divorce comes with a lot of mistakes and it is an emotional time for both partners. He recommends that religious leaders should continuously check on couples after commissioning marriage. Imam Jalloh, who has been married for 18 years, said it is time for Islamic leaders to engage in preaching on marital issues. He also expressed dismay about how more couples from his religion has refused to take confusion cases back to the mosque but rather immediately institute divorce. “Marriage is not an individual attraction, it is something you have to properly plan, understand what you going into”, he noted. In Islam, according to him, prior to marriage both parties bring in witnesses to safeguard their marriage if confusion occurs. He said the mosque does not allow divorce at the mosque but urged the parties to go to the legal system. “We don’t have any space for divorce, divorce is discouraged in Islam, we find a solution and not divorce, no one wants their child to get married three or four times, it is a stigma, we do all we can to resolve it, that is the job for the Imams. “If they refuse to yield to our resolution, they go to the court to talk it there, said Imam Jalloh. Rev. Gardea Johnson of the Restoration Baptist Church said accepting partner feelings is the key to prevent conflict in marriages. He said it is important to validate your partner’s feelings, and not condemn your partner about his/her feelings. He said couples must shut down their reactive brain, retreat, get to work on oneself, re-establish contacts, make new ground rules and observe what happens in their marriage to avoid or prevent separation. Atty Khadijatu Tall Nasser, a lawyer at Heritage Partners & Associates says incompatibility of temper, adultery, and abandonment are issues leading to many of the divorce cases in Liberia. In an exclusive interview with FPA, she says incompatibility of temperament is the most common justification for the divorce cases brought to the firm. According to her, many more young couples are filing for divorce than older couples. Prior to the action of Divorce, she explained, a mediation conference can be set up between the two parties to ably handle the crisis. She says an impaneled jury can decide a contested divorce while a judge can decide a divorce that is not contested.